I say touched on it because this scene is most often credited with explaining what hurt Radiator Springs and how the decisions can hurt regular people, but in this particular context, I would point to the comment made about how most of the cars didn't even know what they were missing. Too often we get comfortable in what we are doing, or we work hard to make great time, but we forget to have a great time. There are many ways to say it, but the bottom line I would ask is are you taking time to enjoy your accomplishments? 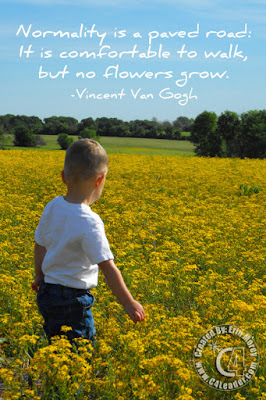 Are you stepping off the paved roads to enjoy the flowers? To Stop and smell the roses? Or are you doing things the way you always have because they are comfortable? From a leadership perspective, are you looking for improvements? Are you finding the flowers through process improvements or new opportunities? Perhaps it's time to step off the Paved Road. Vincent Van Gogh was a Dutch painter (Post- Impressionist) who is probably one of the most recognized names in art. He is credited with 2100 works of art, the majority of them in the last 2 years of his life. He committed suicide at 37 following years of mental illness and poverty.